"Beautiful place and really nice pools." Have a question for Aquaworld Resort Budapest? "Suanas and slides were great and the hotel offered every thing you expect." "a fun stay and would love to visit again." 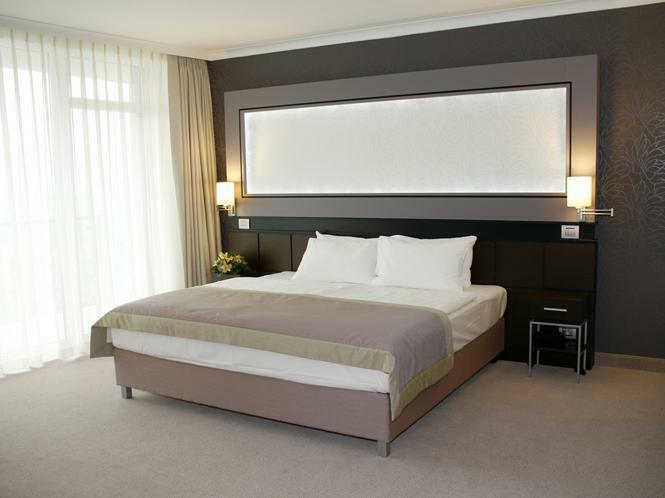 "Everything was perfect, my stay was smooth and comfortable." Renovated in , the Aquaworld Resort Budapest guarantees guests a pleasant stay whether in Budapest for business or pleasure. From here, guests can enjoy easy access to all that the lively city has to offer. 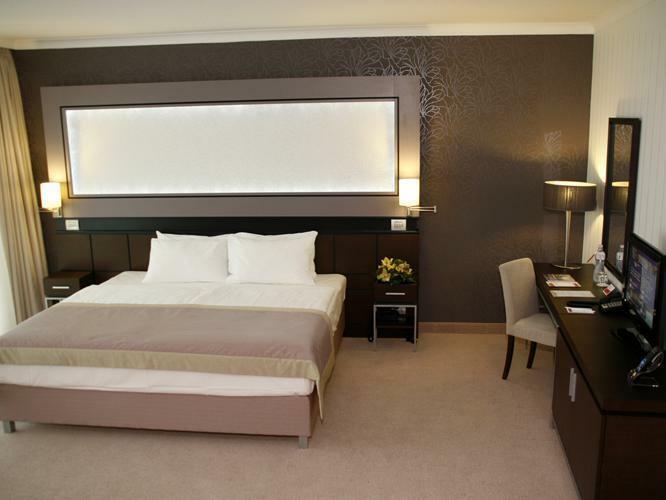 Aquaworld Resort Budapest offers impeccable service and all the essential amenities to invigorate travelers. The hotel provides free Wi-Fi in all rooms, wheelchair accessible, 24-hour front desk, facilities for disabled guests, Wi-Fi in public areas to ensure our guests the greatest comfort. 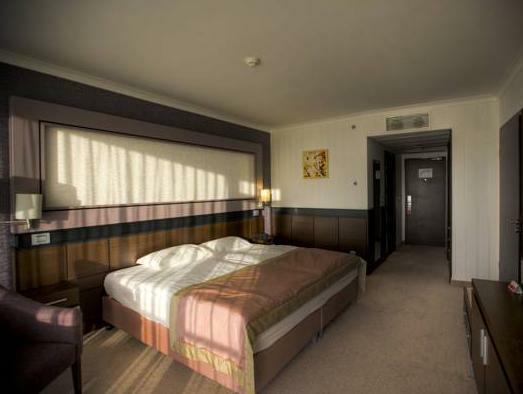 309 rooms spread over 8 floors provide a warm and pleasant home away from home. Modern comforts such as television LCD/plasma screen, slippers, separate living room, internet access – wireless, internet access – wireless (complimentary) can be found in selected rooms. The hotel offers many unique recreational opportunities such as hot tub, fitness center, sauna, outdoor pool, indoor pool. When you are looking for comfortable and convenient accommodations in Budapest, make Aquaworld Resort Budapest your home away from home. "Perfect place for family holiday." We stayed only for one day but it was thoroughly enjoyable. Will definitely come back some time in summer. Beautiful place and really nice pools. Suanas and slides were great and the hotel offered every thing you expect. Just one small thing; the room was a little cold. Otherwise a fun stay and would love to visit again. Everything was perfect, my stay was smooth and comfortable. Decent and i intend to return with my family for the next school vacation in 2016.
i might be have spoiled in Asia. But this hotel was the worst ever hotel I visited. Staff unfriendly. Everything very expensive. I even went for a expensive junio suite but that even did not help. Aqua World, Big rooms with all the facilities, perfect for holiday & relaxation. Its been one of the best hotels me & my wife have been to. We really enjoyed our stay. The aqua world was so much fun. The rides, jacuzzi, swimming pools were very well maintained. We stayed there for three days & really loved it. The staff was friendly & the rooms were very comfortable. Would love to go back. nice neighborhood to discover, great spa facilities, great place to relax! Cons include overpriced meal plans and special event costs (e.g. New Years). it was lovely stay at this hotel because it was very clean and quite hotel. simply i liked it. It was a nice hotel. The room was good, but the location was alful. We spent teke 'free bus' but in the end of our trip to center the driver said that haven't got free one for getting back to hotel, because its monday? The rooms have standard size. They are clean and nothiong special. For the breakfast, they charge EUR per person and for the dinner buffet EUR per person. These amounts are totally unreasonable for the offered food. 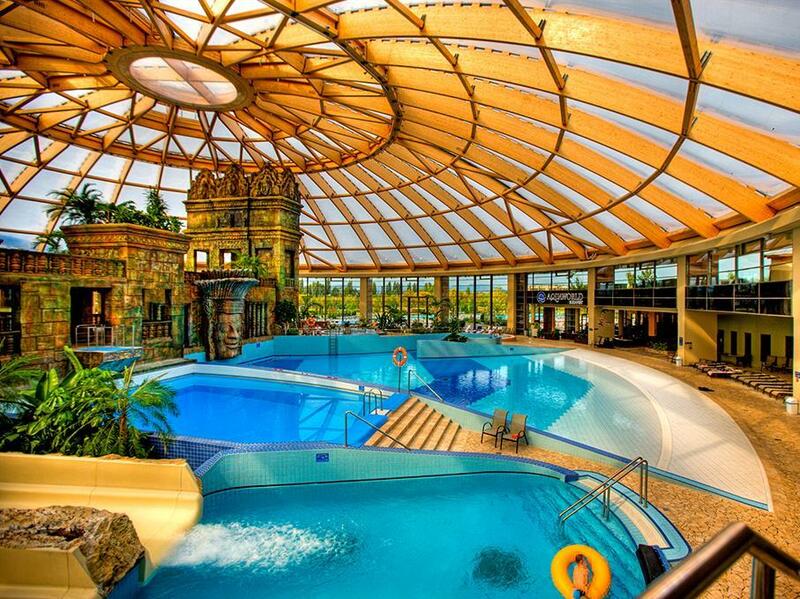 my husbund, sun (5) and i have spent three days in ramada resort aquaworld. junior suit room tipe, where we were acomodated, was big and with very nice and big bathroom. we didnt take any additional services acept acomodation, so we had to find where to have meals. i recomend aquaworld restaurant which has good offer of meals and very good prices. it is really for recomendation to experience spa and aquaworld especialy when the family stays with children. be prepared to ask questions because on the hotel reception staff are not prepared to give basic information when you check in. some brochures are only on hungarian language. generaly i find this hotel because of its aquaworld interesting form me and my family and would like to come again in winter period. we (my husband, our two children and i )spent three wonderful days in budapest. the hotel was excellent. 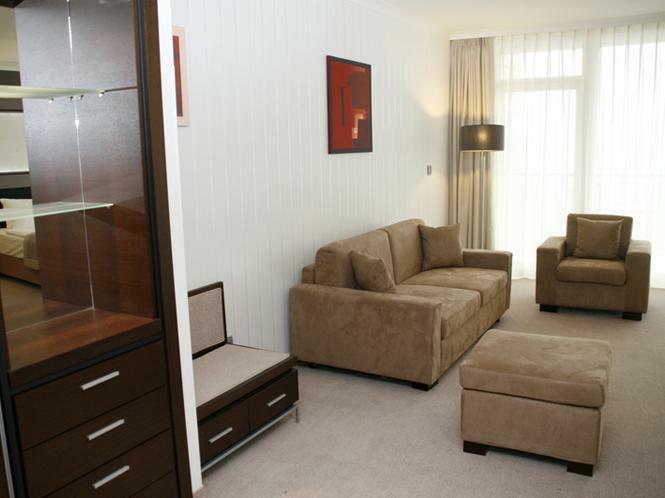 the apartment is spacious and modernly equipped. aqvapark in the hotel is excellent. the children enjoyed the slides and we enjoyed the thermal water and jacuzzi. staff could be a little kinder, especially at the reception. food in hotel is excellent and not expensive. recommendations for improving the hotel is to be installed in the apartment cooktop and the bathroom that includes soap, shampoo and foam bath. 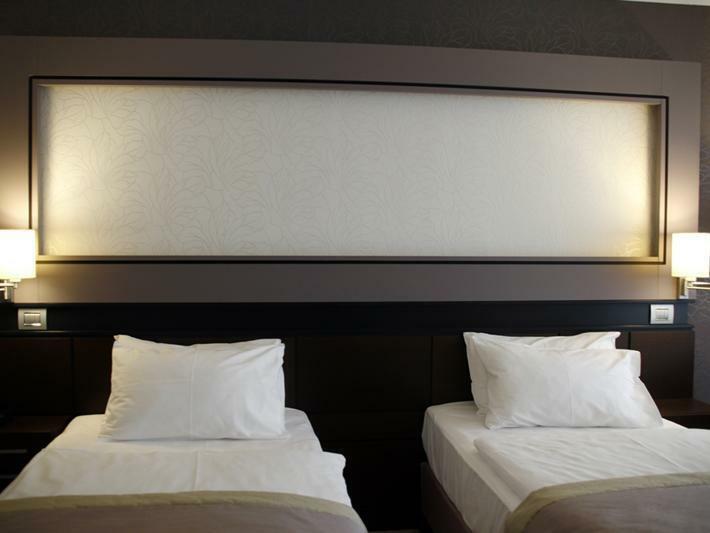 in any case, the hotel is for recommendation and we will again visit the same hotel.